I feel blessed that I have this gift to bring beauty, harmony and function to the interiors of your home. It can transform how you are living and entertaining there. I am passionate about what I do and about everything pertaining to a design that you and I work on together. It may not take a village, but it’s definitely team work! Between sub-contractors, products, budgets and tastes, we all work together to ensure YOU get the look you are after within the budget you need to be at. 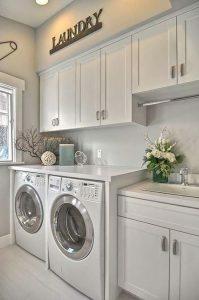 In this newsletter, I will share a check list for you to think about should you be considering redesigning your laundry room. 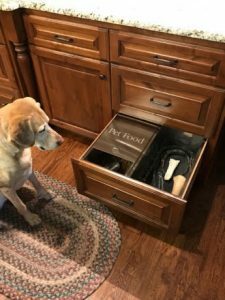 There are a lot of products out there that can be added to your kitchen or laundry area, but here are a few I find to be great ideas to make your life simpler. Things don’t need to be hard or difficult, so let’s try to make things easier! With the holidays coming up, stains may happen. I’ve enclosed a video to show you how to clean these stains up using a hair dryer! Yes, I said a hair dryer. Speaking of the holidays, I had my windows cleaned by Brandon of Bright Reflections. He did a great job and even climbed ontp my roof to do my skylights! Not only does he clean windows, cleans out gutters but ALSO HANGS CHRISTMAS LIGHTS! Now that is definitely something useful you can use to save time and maybe avoid a task you may find difficult during this busy holiday season. Hope you glean at least one good thing here that you can put to use. Have a Happy Thanksgiving and remember to turn you clock back one hour on Sunday! Here’s a checklist of some ideas that you might want to incorporate into your laundry room to make it work harder for you, or should we say, make your life simpler. Do you have items that need to drip dry? Think about adding a rod to hang things from. 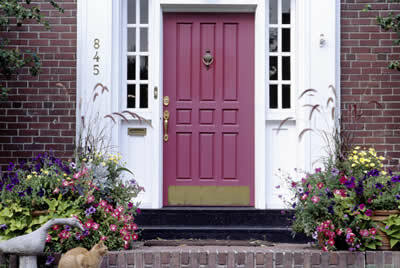 Do you need a place that isn’t the kitchen sink to wash your pets or a place to re-pot some plants? Add a large bowl sink in here to do a multitude of things! Add a window. No one wants to feel like they are in a cave while doing the laundry. Let some sunshine in. You would be amazed how much better you will feel doing your chores. 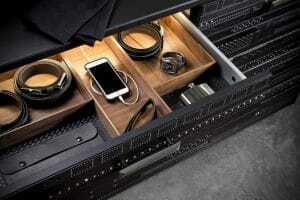 Do you need some overflow storage? 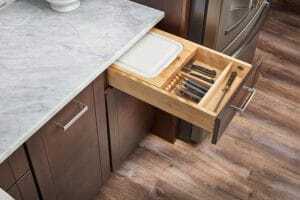 Here’s a good place to add some extra cabinets to house these items such as holiday decor, wine storage, extra pantry items etc. WHO KNEW A HAIRDRYER COULD DO ALL THIS? A REFERRAL I AM SURE YOU CAN USE! I know many of you have asked me for referrals for many things on occasion. Here’s one I am happy to share with you today. Brandon with Bright Reflections does window cleaning..
“He also cleans gutters and in the winter time, he switches to hanging holiday lights! Wow! I personally had him clean my windows, yes, even my skylights!